San Pedro is well-known for the extraordinary number of exceptional athletes it has produced over the years. It was only natural, therefore, when former city Councilman John S. Gibson suggested that a Sportswalk be started in San Pedro to commemorate outstanding collegiate, Olympic and professional athletes. The San Pedro Sportswalk opened in 1978, in a ceremony which also marked the revitalization of Beacon Street District. 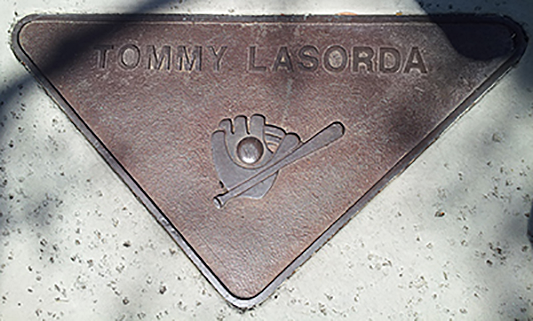 San Pedro’s answer to the Hollywood Walk of Fame, the Sportswalk features bronze plaques listing the name of the sports honoree and a symbol representing the sport for which the person is known. Sportswalk was discontinued from 1998 to 2004 when the Sportswalk to the Waterfront committee resurrected the event as part of recent efforts to revitalize San Pedro’s historic downtown and create linkage to its waterfront. The Sportswalk to the Waterfront committee presents two special awards each year in October, the Pat Tillman Award for Courage and the Trani Award for contribution to local athletics. The sports categories currently recognized include Auto Racing, Baseball, Basketball, Boxing, Coaching and Leadership, Fitness, Football, Hockey, Horse Racing, Media, Softball, Surfing and Water Sports, Swimming, Tennis, Track and Field, Volleyball and Water Polo.